The issue of ATM charges generated much debate on the floor of the Senate and after much deliberations, a few resolutions were made. This was after a motion on "illicit and excessive charges by Nigerian banks in customers accounts" was raised by Senator Gbenga Ashafa during the plenary session on Wednesday. 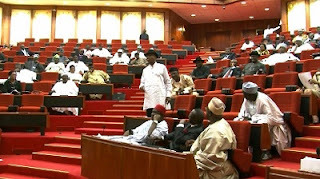 Deputy Senate President Ike Ekweremadu seconded the motion, saying: "The ATM charge is not the only charge we get from the bank, there are VAT charges and so on; this is unacceptable. We have the Customer Protection Agency in Nigeria, but they are not living up to expectations." The Consumer Protection Council was called upon to be up and doing in taking up the plight of ordinary Nigerians by looking into the various complaints of excess and unnecessary charges by N igerian banks.